A few weeks ago we saw how you can use a Game Boy Pocket’s case and buttons to make a Raspberry Pi handheld console. 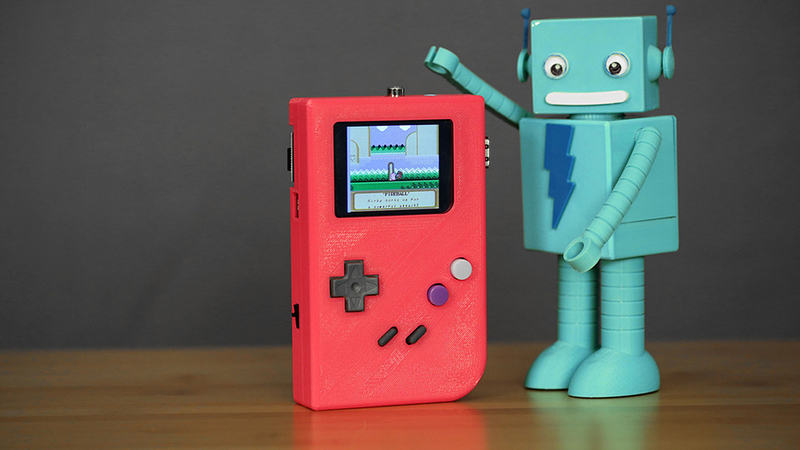 If you don’t have a Game Boy Pocket but have access to a 3D printer, Adafruit has a viable alternative called PiGRRL. The electronics shop made a 3D model for a Game Boy-like case, and then used the hardware from an SNES controller to give the PiGRRL buttons. Adafruit decided to use its CupCade software to run games on PiGRRL, allowing it to run MAME and NES games. Head to Adafruit’s website for the link to the 3D files as well as the guide to making PiGRRL.